After a brief spell of calm weather, a winter storm is ravaging the Northeast of the US, According to weather forecasts, an expected range of 6 to 18 inches of snow will cover the region. Snow on roadways, particularly on bridges and overpasses, could freeze as temperatures continue to drop, particularly overnight. These severe weather conditions will make travel extremely hazardous. This winter storm warning has prompted residents to replenish their provisions and stock up their home emergency kits. 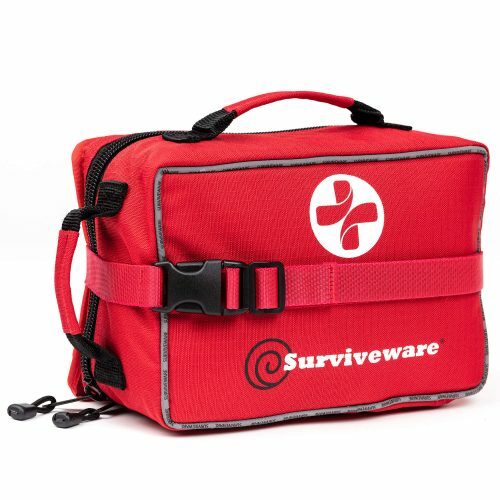 Surviveware, maker of high-quality and reliable first aid kits, supports these preparations by ensuring the availability of their large first aid kit for use during inclement weather. Their kits provide the supplies necessary for treating and stabilizing a broad array of injuries. As snowy, wintry weather conditions may keep residents homebound, it helps to have a kit that contains enough items to last through a variety of emergencies. The company recommends the use of their Large First Aid Kit for this reason. Surviveware’s Large First Aid Kit contains 200 life-saving supplies that can be used during critical situations, such as winter storms. Having an expanded first aid kit is vital especially in times of heightened caution. The kit contains bandages, adhesives, steri-strips, gauze swabs, and non-adhesive dressings. These items are crucial in treating lacerations, wounds, and scrapes, such as those caused by slipping on an icy driveway. The kit also contains hydrogel, splinter probes, nitrile gloves, safety pins, tweezers, and cold packs. Additional consumables such as fever strips, sting relief wipes, a CPR Kit, and emergency blankets are also included in this first aid kit. These supplies are contained inside a 600D polyester bag that organizes and keeps the items in place. This fabric is water-resistant which keeps moisture from seeping into the package. Ideally, this kit can withstand frost making it ideal to have during chilly winter days. Since the case is made from fabric, it won’t break or crack from pressure. Since weather storms can cause vehicle collisions and other road accidents, the large first aid kit can be stored in a car’s trunk or strapped on a headrest. Another layer of protection in the form of resealable laminate pouches, in which each item is packed, was also included in this kit. It helps keep the provisions fresh and free from foreign contaminants that might enter the kit. Secure your family’s protection and safety over the winter season and grab your Surviveware Large First Aid Kit now. Enjoy the benefits of an expanded first aid kit at an exclusive 20% discount offer by using Surviveware’s Amazon discount coupon. Limited stocks available. Get one now today by clicking here.